Laboratory tests have returned for food service workers at a Mexican seafood restaurant in San Jose, which has been closed for nearly two weeks since almost 200 people fell ill, of which nearly 100 have been found with an infectious bacterial disease, Santa Clara County public health officials said today. One of the workers at Mariscos San Juan #3 restaurant at 205 N. Fourth St. tested positive for shigella, a contagious diarrhoeal illness that has also been caught by 94 people in six counties, public health officials. It doesn’t appear the worker with shigella caused the outbreak, based on the onset of symptoms experienced by the individual, according to public health officials. The tested employees worked at the restaurant on Oct. 16 or 17, the two days that a majority of the sick ate at the business, public health officials said. The Santa Clara County’s Department of Environmental Health closed the eatery on Oct. 18 and are investigating what led to the outbreak. There are 190 people who have become sick from the restaurant, which includes 39 cases outside of Santa Clara County, according to public health officials. Of the 190 cases, 22 people, including the restaurant employee, have occupations that include direct contact, such as food service, child care and health care. Those people cannot return to work until they recover from the illness, public health officials said. Of the 94 people confirmed with shigella, 74 are from Santa Clara County and the remaining 20 are from Santa Cruz, San Mateo, Alameda, Marin and Merced counties, public health officials said. There were three possible secondary cases, in which a person who ate at the restaurant and caught shigella spread the disease to someone else, according to public health officials. It can take one to two days for someone to experience shigella symptoms, which include diarrhea, fever, abdominal cramps and vomiting, public health officials. An infected person can experience the symptoms for five to seven days before they recover, but their bowel habits won’t return to normal for several months, public health officials said. 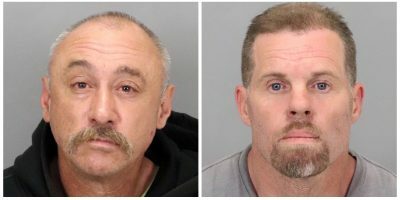 Three San Jose men who ate at the restaurant and developed shigella filed separate lawsuits in Santa Clara County Superior Court alleging negligence by the restaurant’s owners, Sergio Becerra Cruz and Lourdes Garcia Becerra, according to their attorneys at the firms Rains Lucia Stern in San Francisco, and Marler Clark in Seattle.